Home > Entranceexam > LIBA Chennai MBA Admission 2018 - Application Deadline Extended! LIBA Chennai MBA Admission 2018 - Application Deadline Extended! LIBA Chennai MBA Admission 2018 process for has begun with the online application process. Loyola Institute of Business Administration (LIBA) offers full-time PGDM. It is a residential programme of two years duration and is spread across 6 terms (3 months each). The candidates can apply to LIBA Chennai MBA Admission 2018 only if they have registered for the CAT or XAT exam, as on the basis of the score, the registration will be approved. Some of the seats have been reserved for Christians as LIBA is a minority institution. LIBA’s PGDM course is approved by All India Council for Technical Education (AICTE) and recognised by Association of Indian University (AIU). LIBA Chennai's PGDM degree is equivalent to MBA. LIBA Chennai was established in 1979. The candidates have the option to first appear in CAT or XAT exam and then apply for LIBA Chennai as the application will end on 15 February 2018. Candidates must have a 3-year Bachelor’s degree in any discipline from a recognised university (AIU) under regular mode only. Applicant appearing in final year of their graduation can also apply if expected to complete their graduation by June 2018. Candidate should have a consistent academic record of the first class (minimum 60% marks) in STD X, STD XII & Graduation. Candidates who have cleared all the subjects in their first attempt will be preferred. Candidates with a history of more than two arrears need not apply. Candidates including NRI must have a valid score card of CAT 2017or XAT 2018 to apply for LIBA’s PGDM program. LIBA Chennai offers admission based on CAT or XAT score and doesn’t conduct its own entrance exam and hence the students need to apply for CAT or XAT exam to be eligible for admission. 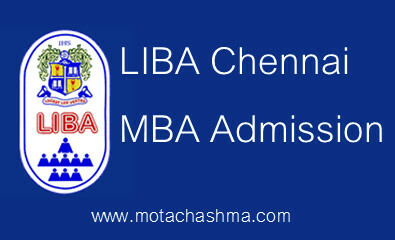 Apart from that the candidates also need to apply separately to LIBA Chennai MBA Admission. If the student has not filled up the LIBA MBA Application form but has qualified the CAT /XAT cut off score they will not be eligible for admission. Candidates can click on the following link to fill the application form. CAT/ XAT Application Form: Applicant must apply for CAT 2017 or XAT 2018 before applying to LIBA’s PGDM Program as CAT id or XAT id or both will be needed while filling up the application form. LIBA Application Form: Apply for LIBA by registering Online by mentioning your CAT/XAT ID. Register on LIBA site by filling an online form and creating unique LIBA-ID and password. Enter Personal Details, Marks of Class 10, Class 12 and Graduation Marks. Upload Scanned Photograph and Signature: A scanned copy of applicant’s photo and signature will be required while filling the form. The scanned copy of photo and signature should not exceed 1 MB. Enter the preference for Interview City at the time of filling the application form. STEP 1: Registration: Register on LIBA site by filling an online form and creating unique LIBA-ID and password. STEP 2: Academic Details: Enter Personal Details, Marks of Class 10, Class 12 and Graduation Marks. STEP 3: Upload Scanned Photograph and Signature: A scanned copy of applicant’s photo and signature will be required while filling the form. The scanned copy of photo and signature should not exceed 1 MB. Image types: png, gif, jpg, jpeg. Image Size: Between 400x400 and 2048x2048 pixels. STEP 4: Enter the preference for Interview City at the time of filling the application form. Note: The scanned academic certificates and work experience certificate also should be ready to upload. 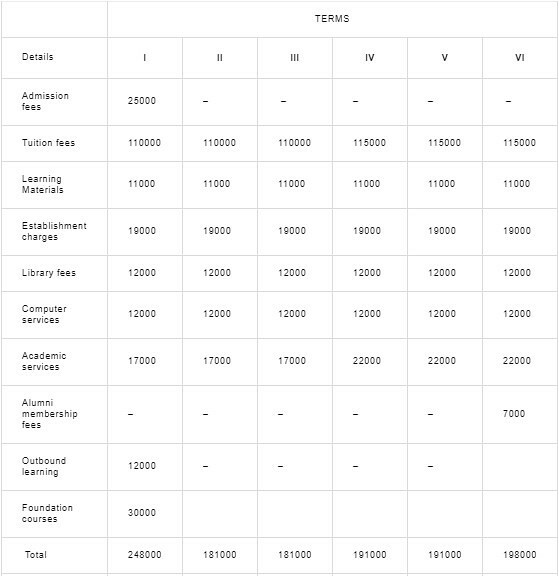 The candidates applying for LIBA MBA Admission have to pay the application fee of Rs. 1500. Shortlisting: Applicant will be selected on the basis of their CAT/XAT 2018 scores. As per last years, cutoff scores a candidate is expected to score more than 85 percentile (XAT Cut off score) in XAT Exam to get admission in LIBA Chennai. This is just the indicative LIBA Cut off for XAT and the final cut off will only come after candidates apply for admission. Group Discussion: Shortlisted applicants will then be asked to choose from a city of their choice to appear for Group Discussions. The choice may differ from as what an applicant has chosen as LIBA can allocate the location as well. There are no reservations for SC, ST or NRI candidates. As this is a minority institute, 50% seats are reserved for Christian candidates.